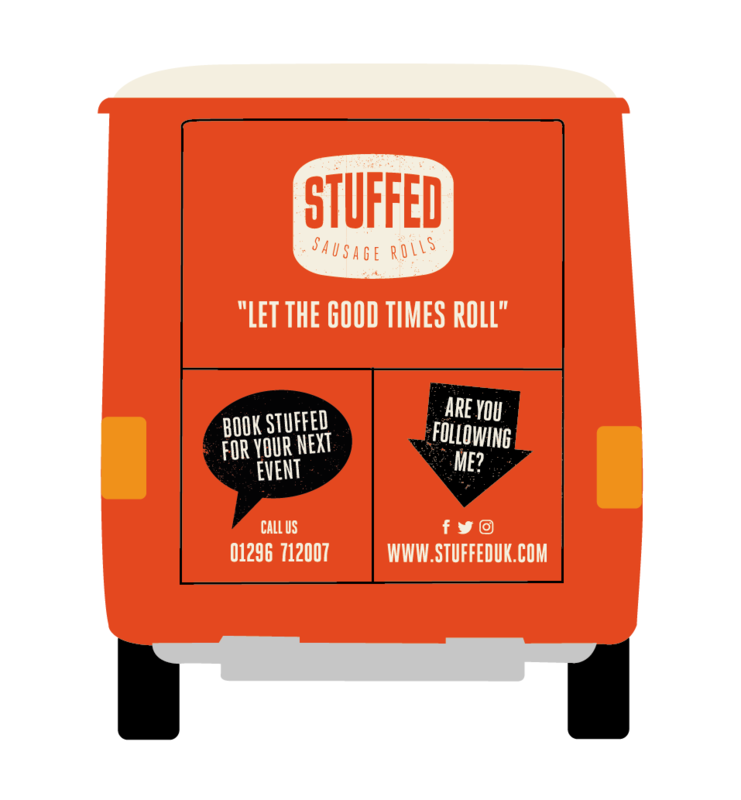 We were really chuffed to get the call from Stuffed! 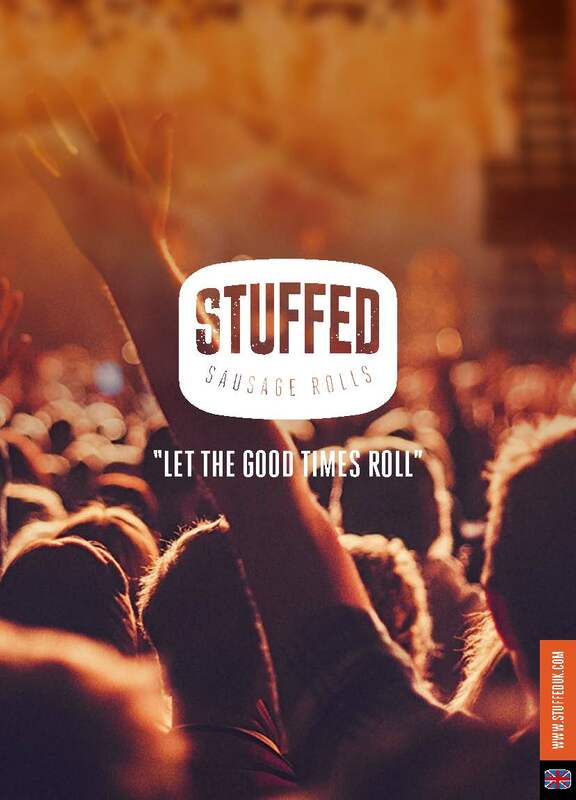 At the time they were not called Stuffed but did have an idea for a new and exciting Sausage Roll brand for events and outside catering. The father and son team are close friends of one of our long time clients and it’s always great to get those recommendations and to be able to work with people who already know you to certain extent. We kicked off by working on what the brand should be called. 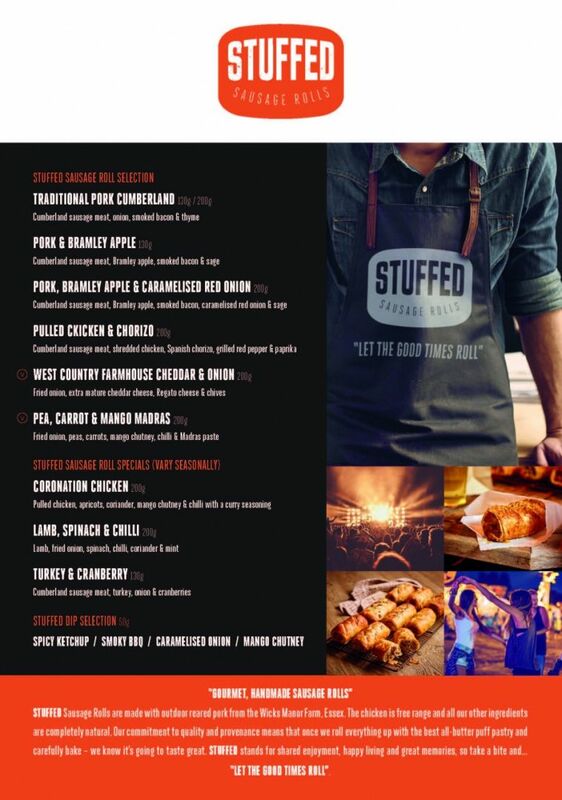 It was the client’s idea (following a pub session) to go for STUFFED – which we thought was the perfect name for authentic super stuffed (with natural ingredients from award winning farms) sausage rolls. 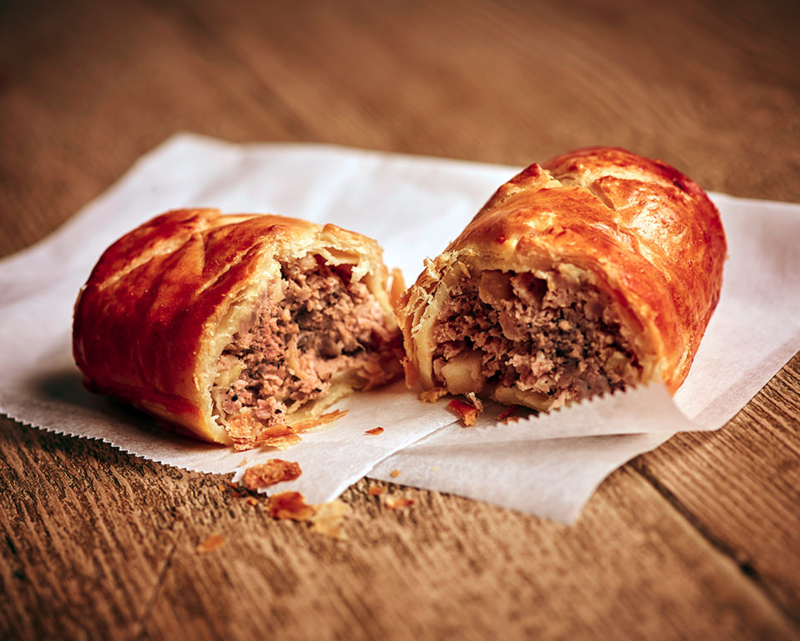 Once the name had been established and the product had been sampled (quite a few times!) 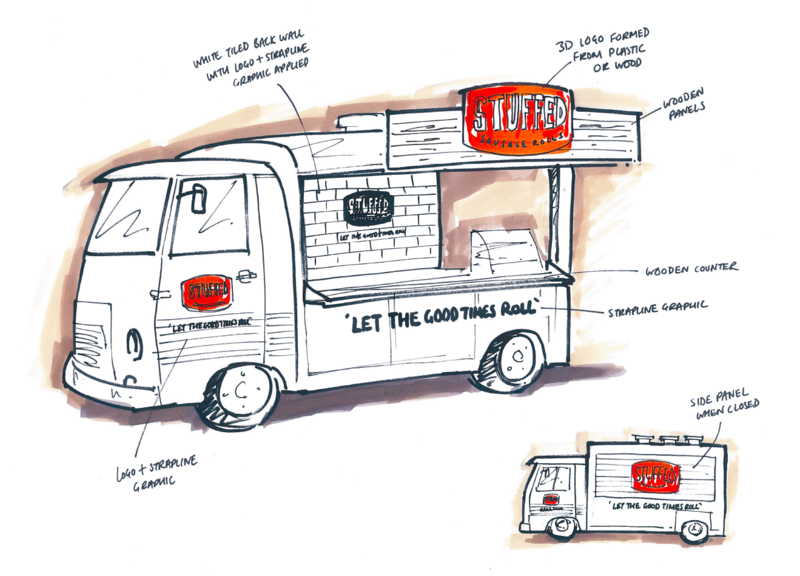 we set to work on creating and building out the brand. Photography is key to most brand communications. 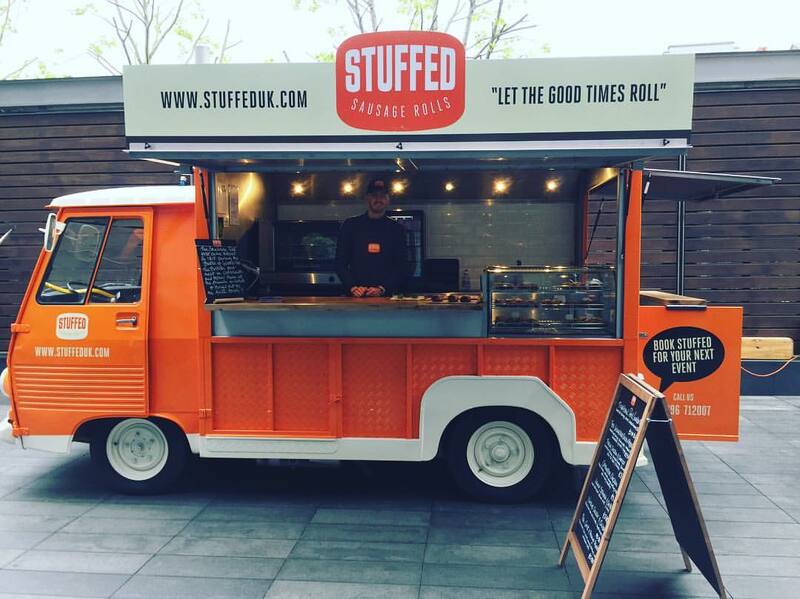 Our job with Stuffed was to convey the warmth, substantiality and comfort of the food as well as communicating that this is an on-the-go food for outdoor events and festivals. 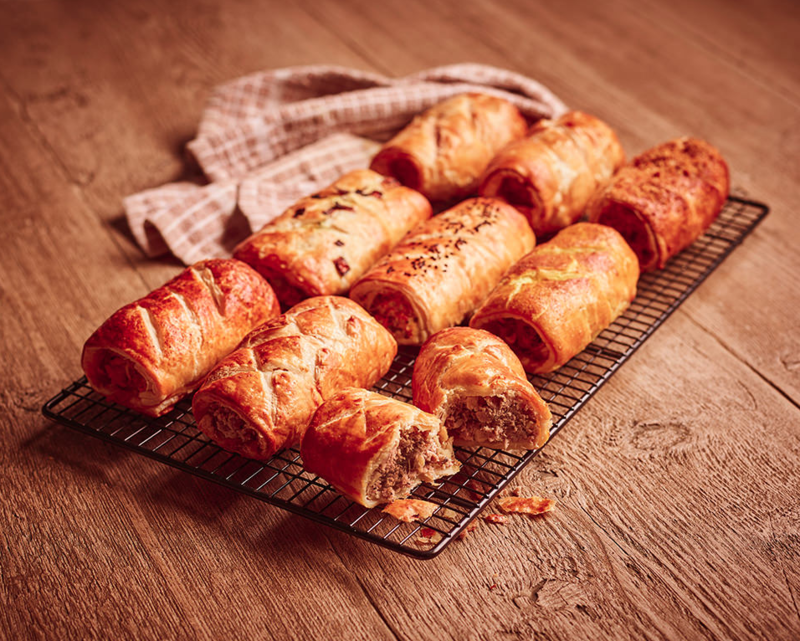 Working with the photographer and a food stylist we were able to achieve a selection of warm images that we’ve used for the initial launch of the brand. 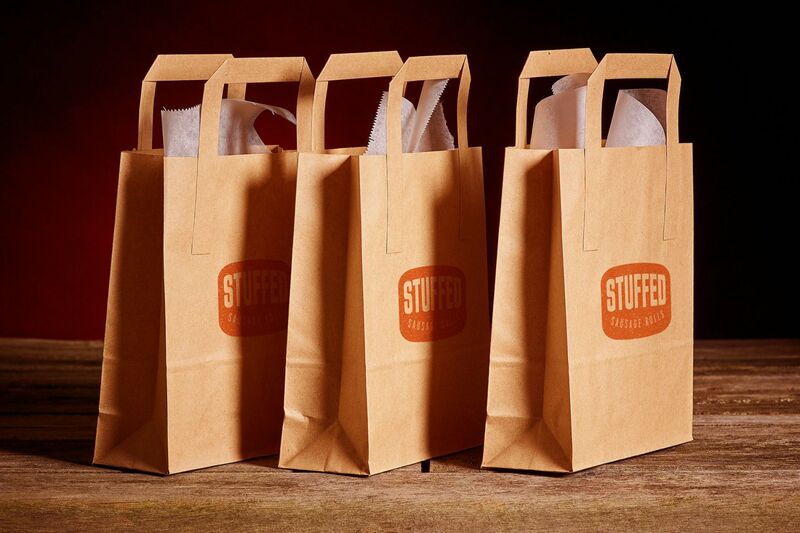 We provided a comprehensive brand service for STUFFED which included all details and aspects of the ‘roll’ out. 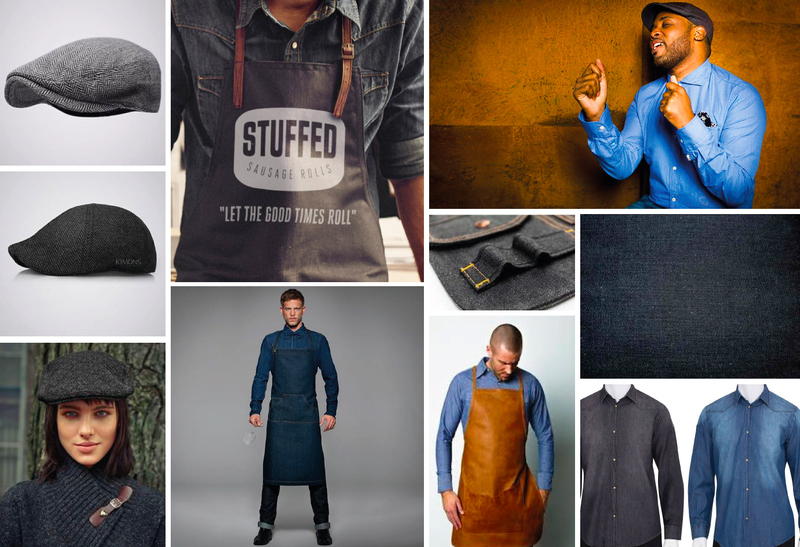 Everything from vehicle design through to the uniform styling and mood board. 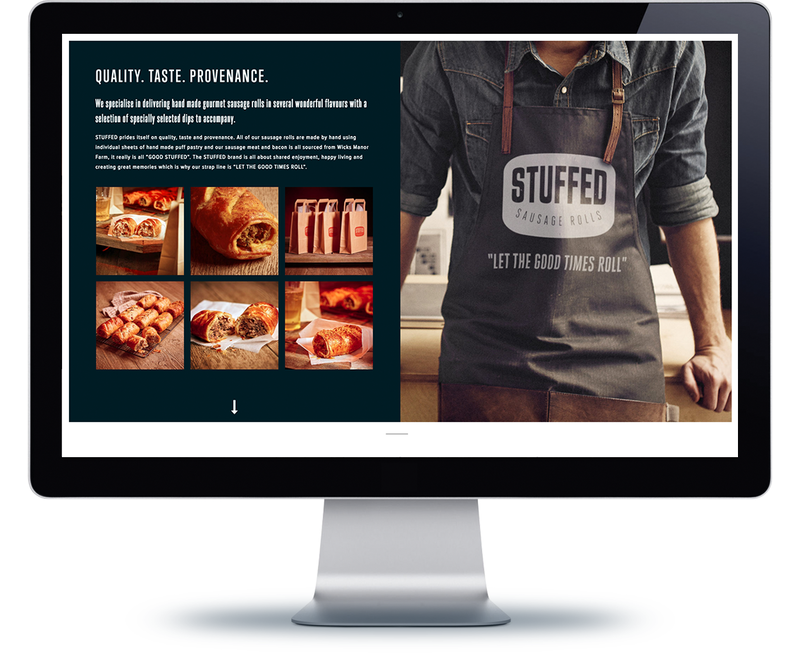 All aspects of a business contribute to the overall brand, from the way people look, smell, behave, smile through to the napkin material, packaging and of course the product. 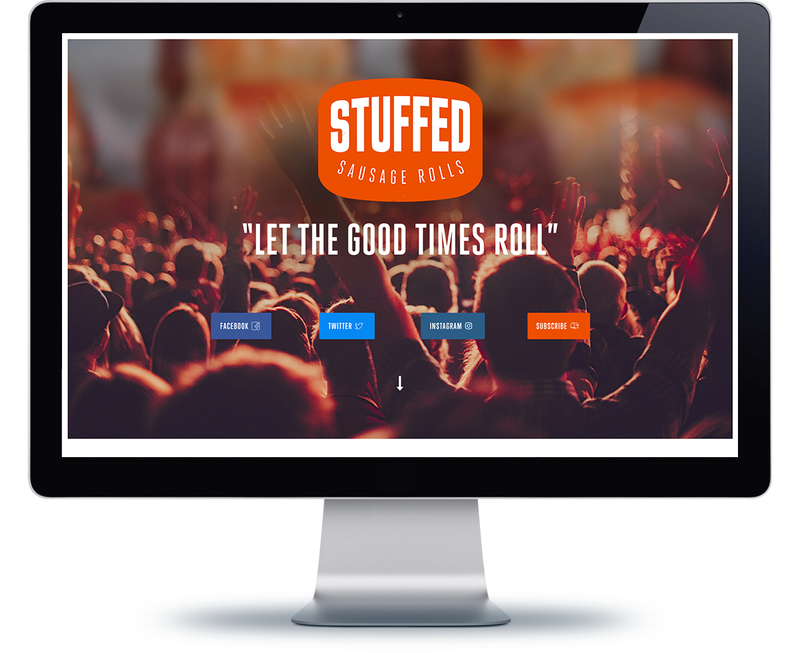 Standout consider all elements of any brand that we look after to ensure consistency which in turn delivers brand strength.